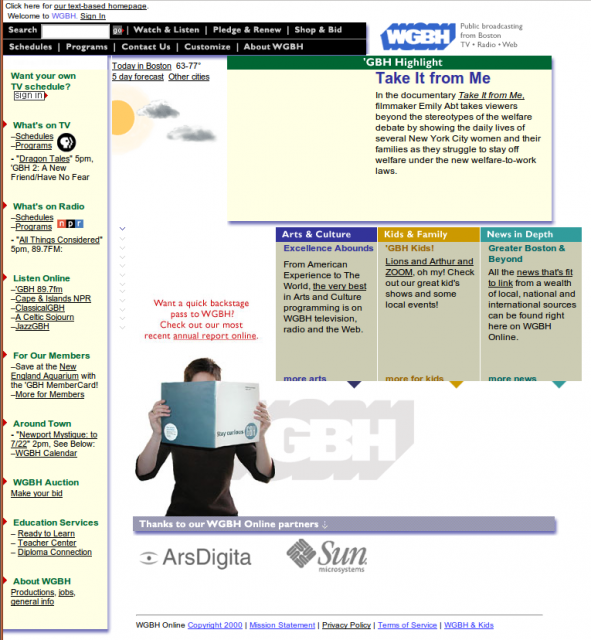 … we launched the dynamic, CMS-backed wgbh.org. I still remember sneaking out (we launched at night) to vote before polls closed. I voted in Cambridge that year and it was the first and only time I've used a scantron voting machine. 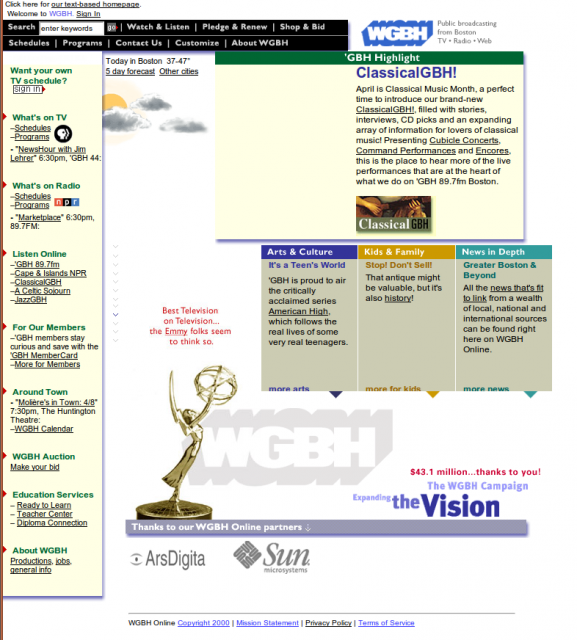 I remember thinking that Florida went for Gore, and drinking champagne when the site actually switched over, and all of that. But mostly, building that site was a great learning experience and a chance to work with a bunch of awesome people, and also to meet my awesome partner Han. 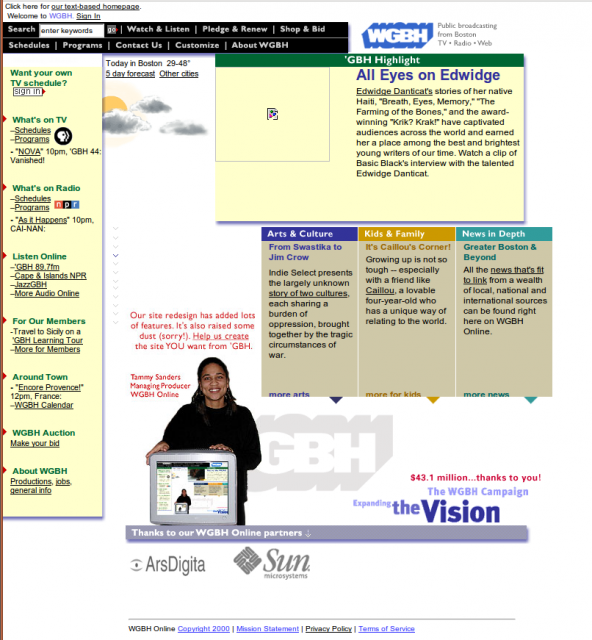 It was redesigned and relaunched after maybe 14 months, and stayed that way for something like 8 years, then was redone again somewhat recently.